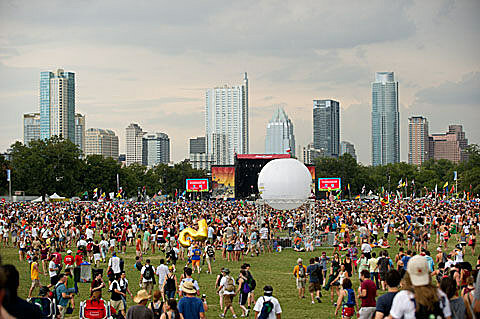 Every year ACL Music Festival-goers are burdened with choosing between conflicting set times. Luckily, C3 schedules many of the artists playing the festival in clubs around Austin, Dallas, Houston, and San Antonio as part of their Official Late Night Shows. Since the festival has been expanded to two weekends, this year’s series will have sixty shows (!) from October 3 – 12. Highlights this year include Queens of the Stone Age, Vampire Weekend, Franz Ferdinand, Shugie Otis, Tame Impala, The National, Silversun Pickups, Local Natives, The Black Angels, Widowspeak, Gospel Brunch, Phosphorescent, Foxygen, HAIM, Deap Vally, Wild Nothing, FIDLAR, Toro y Moi, Wavves, Junip, and more. As an extension of Austin City Limits Music Festival’s inaugural two-weekend run, C3 Presents is thrilled to announce the 2013 Official ACL Music Festival Late Night Shows. A presale opportunity will be available to C3Concerts.com E-list subscribers on Thursday, August 22nd from 10 AM CDT to 10 PM CDT. In order to be eligible to receive presale passcodes, individuals must confirm subscription to the C3Concerts E-List by Tuesday, August 20th at 10:59 PM CDT. The public onsale is Friday, August 23rd at 10 AM CDT.